Isn’t it great to venture back to the time when seminars were held in a large place, audience members lined up to enter and get a good seat, with the speaker in the same building, talking straight to them? Given today’s hustle-and-bustle way of life, it’s already difficult to host a seminar, much less get people to attend. Technology, though, has a solution: a web seminar or webinar. Since its start in May 1996 with NetMeeting, the webinar has evolved. It’s no surprise that it’s now considered as one of the best marketing tactics around. You reach and engage your audience even in remote areas. More options are now available to the host that make it easy to pull off. However, if you think it’s that simple to host a webinar, then you’re mistaken. There are a lot of bad things you can do to fail, like the following. These shortcomings will guarantee you a bad and poorly presented webinar, so it would be prudent to avoid these. It’s a commonly known fact that webinars are done online—the Internet connecting hundreds to thousands of people from different corners of the globe to a single spot. While the number of attendees doesn’t do much to hamper the flow of the web presentation, your connection to the world wide web may and will be compromised quickly since you’re consuming a great chunk of bandwidth with video and audio streaming. Therefore, it’s a good idea to secure a strong and stable Internet connection, or at least be aware of what can happen when your connectivity is weak and cannot handle something as demanding as a webinar. You know how YouTube videos suddenly stop playing to buffer and load? Don’t let your audiences experience that. But what if there was an unforeseen emergency? A backup ISP is usually the best answer. The times when technology will fail you may be hard to predict, but that doesn’t mean you can’t prepare contingency plans. Don’t underestimate a webinar’s demand for hardware. If YouTubers and streamers need hundreds of dollars for specialized equipment, expect to shell out the same amount just to get the gears rolling. First off, you’re going to need a webinar platform. There are good subscription services for this. Next, you need a computer capable of multitasking, since you’d be running a lot of programs (platform and presentation, among others) simultaneously. Then, as above, a good ISP and a heavy-duty modem/router with matching bandwidth. Lastly, the bunch purchase of high-quality webcam, speakers, and microphone. Those preinstalled on laptops are often not good enough; rather, you want those specialized ones that may be a bit costly but are worth it. Once more with the backup plans, you’d want extras as well. If that means another platform, computer, and extra accessories, then so be it. At least you’re prepared when any one of those fails at the last minute. Of course, you’re expected to have a beautifully designed presentation deck. 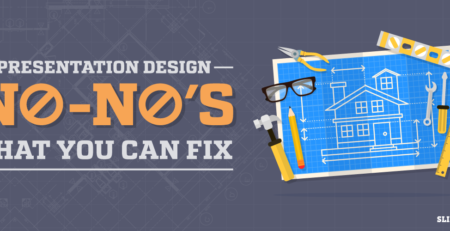 You, a presentation designer, or a presentation design agency should take care of that. However, don’t get overzealous with how you craft your presentation pitch deck. The basics, such as using less text to make way for powerful images and making font sizes larger, among others, should still be followed. There is no excuse for shirking away from the essentials. But present in PowerPoint, and absent in normal images or infographics, are animations that display specific elements with a nifty twist. Even a normal presentation shies away from too much object movement. But should a webinar avoid it too? Not really, but there are more considerations. For one, animations seldom go smoothly online since there are circumstances out of your control. Your animations may show up nicely on your end, but your audiences may experience “jumpiness” on theirs. Instead, only use animation on objects that really need it: a point you need to emphasize instantly or to show progression or any sort of movement that will arrest attention. The lesser your PowerPoint animations are, the better. In the same way that too much effects can break your deck, webinars can also be more conducive to learning with minimal special effects. Don’t even attempt these gross neglects of basic steps. Presentation technology may have made life easier to live in, but it will be useless without a decent amount of human effort to operate it. Hosting a webinar with slides is simpler now, with the Internet carrying the burden of many menial tasks, but that doesn’t mean you can just be willy-nilly about it. Without a solid plan, you’re bound to fail. Take the time to prepare. Then wow your audience with an unforgettable web seminar. Leave them wanting for more.